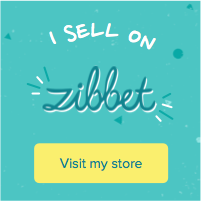 Hello again everyone! 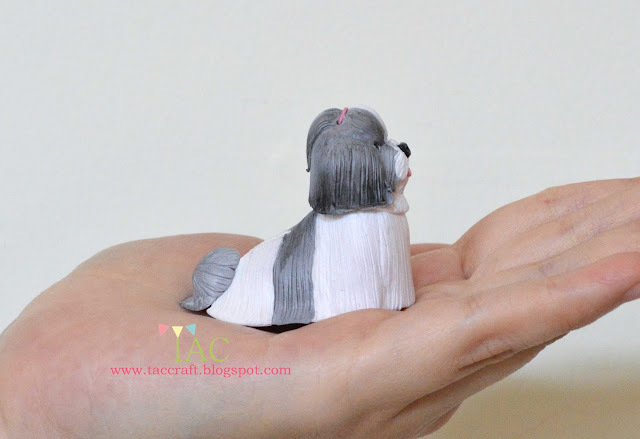 This time I am posting my super challenging order, a miniature Shih Tzu dog!! Honestly this is my first time making a realistic dog miniature. 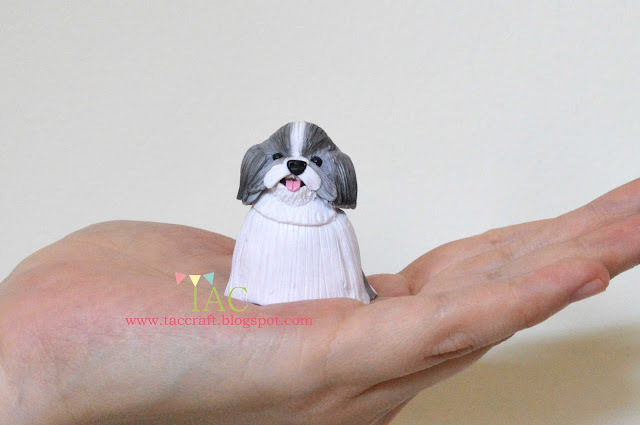 Usually I only make cute rounded shape dogs for fun and in fact never before I received any order making miniature dogs. 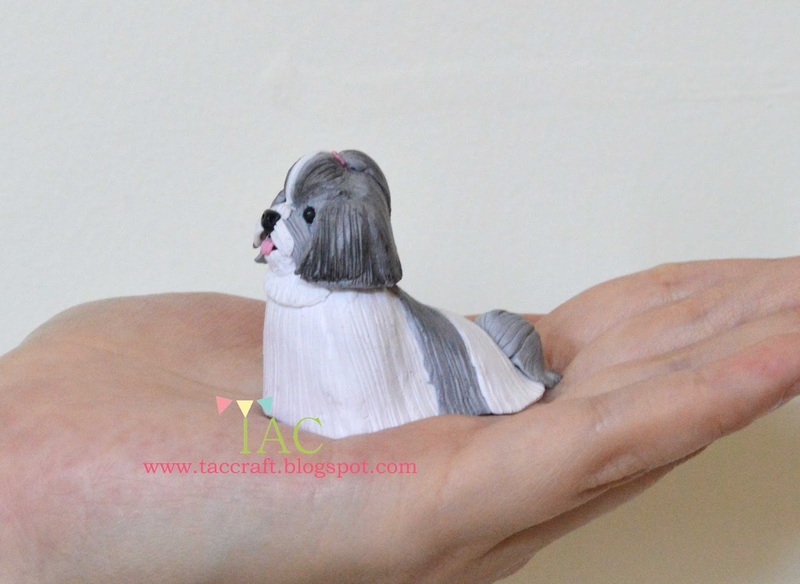 This lovely Shih Tzu dog was the dearest dog to my customer's mom, but it has passed away not long ago. My customer wish to make a miniature replica of it as a memory for her mom, so this is an important project. I am quite happy that the remake version looks much much better...actually far better I think. Here are more pictures of the dog from different angle. I use matte glaze for the whole body except the eyes, nose and tongue I use glossy glaze. Let's move forward to a happier topic. 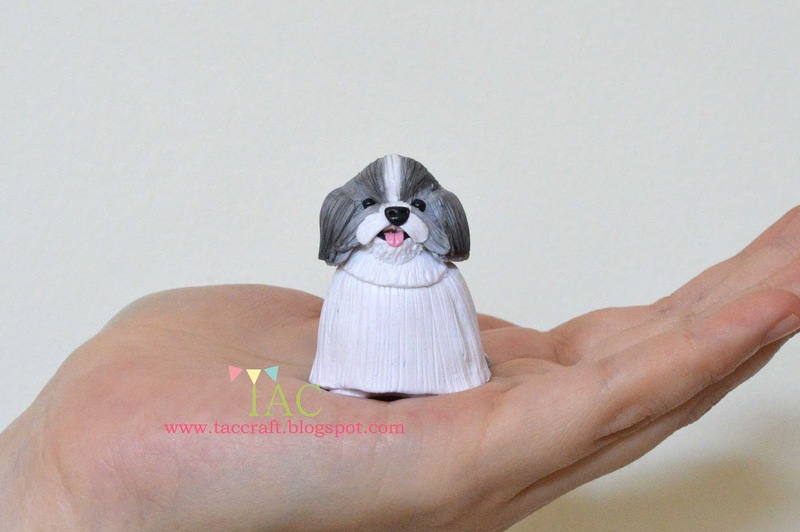 This customer who ordered this miniature dog is the same customer who ordered cake topper which I posted earlier. 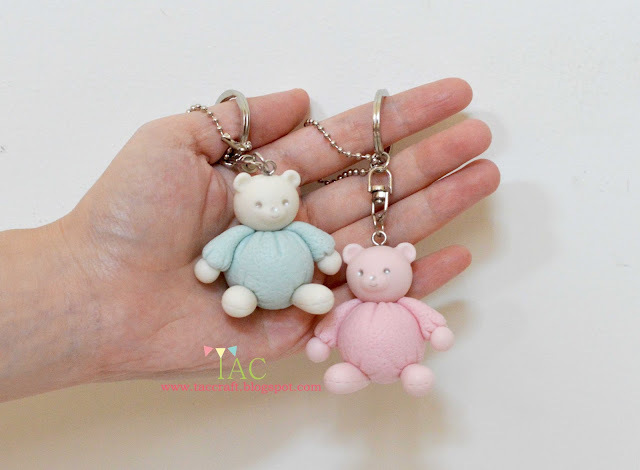 Besides the miniature dog, she has also requested another pair of fluffy bear as keychain. 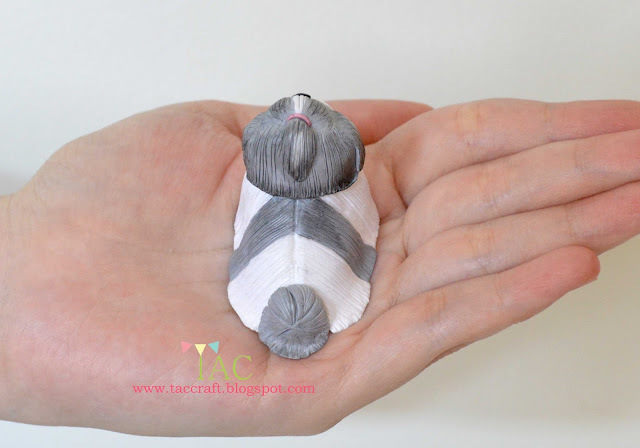 Thank you so much for liking my work.